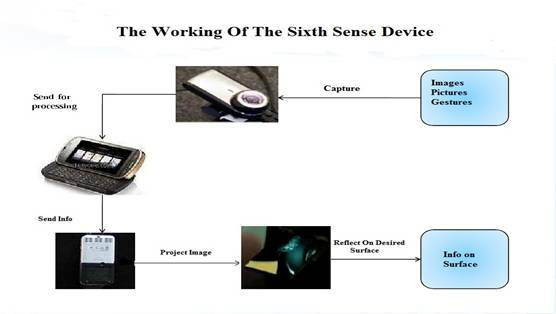 Sixth Sense Technology integrates digital information into the physical world and its objects, making the entire world your computer. It can turn any surface into a touch-screen for computing, controlled by simple hand gestures. It is not a technology which is aimed at changing human habits but causing computers and other machines to adapt to human needs. It also supports multi user and multi touch provisions. 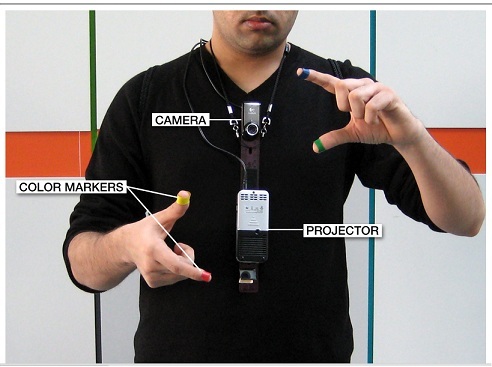 It is a technology which is aimed at interpreting human gestures with the help of mathematical algorithms. Gesture recognition technique basically focuses on the emotion recognition from the face and hand gesture recognition. Gender recognition technique enables humans to interact with computers in a more direct way without using any external interfacing devices. It can provide a much better alternative to text user interfaces and graphical user interface which requires the need of a keyboard or mouse to interact with the computer.